Supporting Putnam, Green, Jasper, Washington and Hancock Counties. 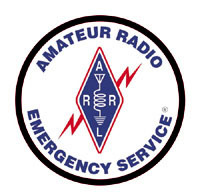 Click here for an article on Amateur Radio and Emergency Communications. Click here or here to see SSB pile up training videos. Click here to see information on building a tape measure antenna for fox hunting. Next meeting is Saturday, April 13, 2019 @ Red Top (Tower Site). Meeting starts @ 12:00 PM. After the meeting we will be doing the Georgia QSO Party contest. Can You Here Me Now Rag Chew every Monday Night @ 8:00 PM on 3.817. Come Join US.